Be sure to get prequalified before you begin looking for a home. Having a pre-approval letter in hand will strengthen your negotiating position. Hello, my name is Traci and I'm a loan officer with Fairway Mortgage. If you're in the market to purchase a home, I will help you get prequalified. To contact me please call 208-794-3522 or complete the form on this page. Thank you! 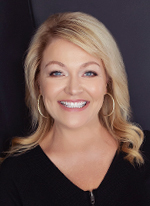 Traci Sansinena, Branch Manager NMLS ID #304704. Branch NMLS ID #2289. Equal Housing Lender.